Round nine of Premier League action takes place this weekend – after the English clubs enjoy success in the Champions League. All five English sides lie top of their groups with none having lost so far. But big games take place this weekend with two of those Champions League sides Tottenham and Liverpool clashing at Wembley in what should be an entertaining match. 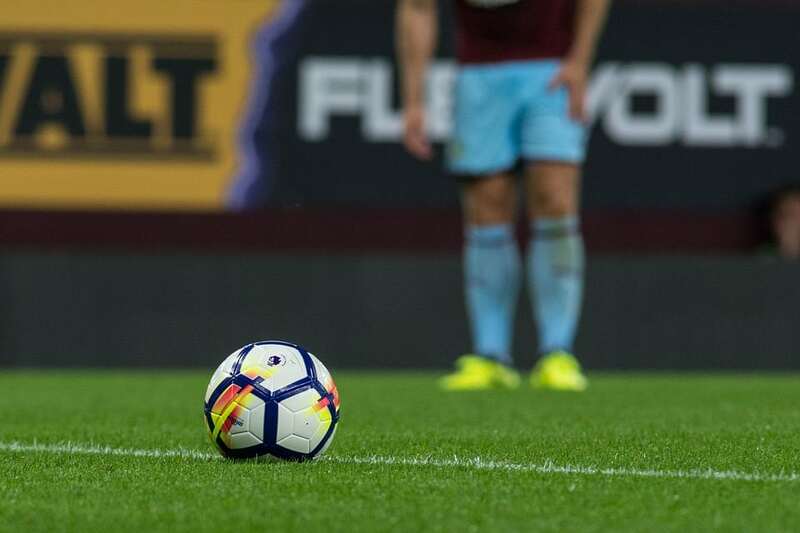 Man City will look to continue their outstanding form at home to equally impressive Burnley, while Chelsea will want to bounce back from their disappointing defeat to Crystal Palace, as the blues face Watford – who sit two points above the champions. Palace meanwhile will hope to make it two wins this season away to Newcastle, while two sides who desperately need a win clash on Sunday – as Everton take on Arsenal. Leicester without a manager are away to Swansea, while Huddersfield have a huge ask taking on Man Utd. The weekend’s most exciting match takes place at Wembley on Sunday. Both sides will have huge confidence after their performances midweek. Liverpool looked so threatening on Tuesday night, scoring seven goals, even if it was against Maribor. Spurs had a much harder task away to Zidane’s Real Madrid, meaning a 1-1 draw was a hugely positive result. Pochettino’s side got their first win at Wembley in the league last week – but this weekend’s match will be a lot tougher. Jurgen Klopp will know his side should be doing better than 8th in the league, so this weekend’s match is hugely significant – but still without Mane, it won’t be easy, especially with the Reds weak defence having to deal with Harry Kane. Tottenham’s attack should just prove a bit too much for Liverpool to handle. Antonio Conte knows this is a pressure game for the Blues. Despite being top of their group in Europe – the Champions haven’t won in their last three matches, and their last defeat against Palace would have seriously knocked fans confidence. What will please Chelsea fans is that star striker Alvaro Morata is likely to start having returned home from injury midweek, which will give the home side the boost against in form Watford. The Hornets have been really impressive lately, having beaten Arsenal last weekend. Marco Silva’s side are currently in 4th, with just one loss so far being against top of the league City. This will not be an easy game for Chelsea by any means – but at home, and with this being a much-needed win, Chelsea should be too strong. After such a promising start to life in the big league, Huddersfield are starting to fade, having not won in their last six outings. It doesn’t get easier for the Terriers this weekend, facing a still undefeated Man Utd. Jose Mourinho will be delighted with how things have gone for the Red Devils so far, despite looking a bit flat last week at Anfield. Lukaku will want to start scoring again, having not scored in his last two matches, but against Huddersfield, the Belgian has every chance to add to his seven for the season so far. United fans will know that City are starting to look like a title winning side. Therefore if Mourinho wants to lift the title at the end of the season – they need to start taking apart teams again, something that should be done this weekend. Roy Hodgson and Eagles fans will be both thrilled and relieved – not only with the fact they scored their first goal of the season against Chelsea, but the fact they got the three points as well. With the injury of Benteke as well, this result looks all the more positive. What Palace need to do now is kick on from this result against Rafa Benitez’s Newcastle. At home, the Magpes have looked really good, surprising many this season, as they sit in 9th. Despite their win over the champions, I still get the feeling Newcastle will be too much for the Eagles at home. Saints fans will be so frustrated at how their side has been so far this season. At St Mary’s they haven’t looked their best, winning just one game at home so far. They’ve just one win in their last five, so Saints fans will want more positive results sooner rather than later under Pellegrino – as they sit in an average 11th in the league. Tony Pulis will also want a bit more from his West Brom side. The Baggies made a exciting start to the league, but have massively dropped out of form, having not won a game since the second round of the season. They too are struggling to score goals at the moment, but will hope that former Southampton striker Jay Rodriguez can score against his old club. Neither side has scored many goals this season, and look hard to separate, so a 1-1 draw looks likely. Many football fans and pundits were shocked that Leicester chose to sack manager Craig Shakespeare. We shouldn’t be too surprised in this day and age though, and considering the Foxes sacked Claudio Ranieri last season – after the astonishing title win the season before. Sure, they are in the bottom three, but of the eight games they’ve faced so far, four of those games have been against sides who finished in the top six last season. They haven’t been great so far, and should have a few more points, but at least give the manager a few more easier games to see what situation they are in. Swansea will feel extremely confident now going into this match – given the Foxes are without a manager. With the form of Chelsea’s loan striker Tammy Abraham, this should be a home win for the Welsh side. It’s not been the best start of the season for either of these sides, meaning both will badly want a win. Much is expected of Stoke these days, with some of the talent they have in their side, but lying in 17th is not what many fans would have hoped for, or expected. City are a brilliant side at the minute, but to have conceded seven goals would not have pleased Mark Hughes. Hughes will want to bounce back, and with both their wins coming at home so far, they will be confident they can get the win this Saturday. Eddie Howe will badly want a win though. The Cherries have been unlucky this season, after looking promising against both City and Tottenham, they will be confident they can beat Stoke. A home though, you usually back the Potters. These two clubs have almost had identical starts to the season so far. Brighton are in 14th, while West Ham are one behind in 15th. Both clubs have also won two games, having lost four games each. The Seagulls are exceeding expectation though – not many would have thought they would be where they are now, while the same is said for the Hammers. Not many would have thought they would be in 15th, much more was expected of them, after some of the signings they made. Slaven Bilic is still under a bit of pressure, so a win on Friday night would be a big boost for the North London club. One thing these clubs have in common though, is that they both are good at home, and that is likely to prove the difference – with West Ham at home, they should get three points.